Are you looking for fun things to do in Boston this summer?? There is no shortage of them. Whether you’re interested in family events, concerts, adult activities, or another type of event, you can find it in Boston (or surrounding communities). From now until October 31, the whole family can enjoy the Greenway Carousel seven days a week from sunrise to sunset. Don’t miss your chance to ride a historic carousel this season. From June 1 all the way to May of 2017, Beat’s Hotel will open for lunch from 11:00 a.m. to 3:00 p.m. If you have ever enjoyed breakfast, brunch, or dinner at Beat’s, you will love new selections like eggs shaksuka and slow pork roast tacos for lunch. 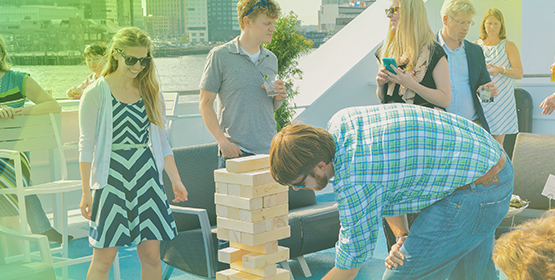 Ever Friday from June 10 to September 30, you and your friends can enjoy a dinner and cruise for less than $30. Spirit Cruises allows guests to board and depart the boats at their leisure, making this a completely relaxing evening. For the 35th consecutive year, Boston Harborfest will take place from July 1 to 4. The opening ceremony takes place on Friday, July 1 at noon at Faneuil Hall. There are fireworks, plenty of food, artist and architecture displays, history tours, and much more. Customers can enjoy live music at Barlow’s every Thursday, Friday, and Saturday night from now until April 2017. Visit http://barlowsrestaurant.com/events/ for a performance schedule.